Is a company-wide computer software system used to manage and coordinate all the resources, information, and functions of a business from shared data stores. An ERP system has a service-oriented architecture with modular hardware and software units or “services” that communicate on a local area network. The modular design allows a business to add or reconfigure modules while preserving data integrity in one shared database that may be centralized or distributed. Abaris Softech provides its clients with a diverse range of products which include Material Management System (MMS), Production Process Management System (PPMS), Human Resource Management System (HRMS Software) and Financial Account System (FAS). All of these ERP’s are meant for different proposes and can have different advantages and features; but the common advantages and the feature of an ERP are as follows. • The accounting for all of these tasks: tracking the revenue, cost and profit at a granular level. ERP Systems centralize the data in one place preventing loss of sensitive data. • ERP performs core corporate activities and increases customer service and thereby augmenting the Corporate Image. • ERP bridges the information gap across the organization. • ERP provides for complete integration of Systems not only across the departments in a company but also across the companies under the same management. 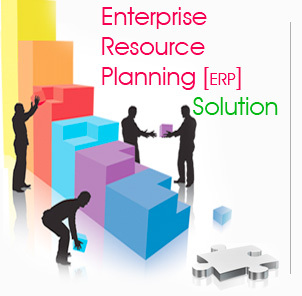 • ERP is the only solution for better Project Management. • Data Interchange (EDI), Internet, Intranet, Video conferencing, E-Commerce etc. • ERP eliminates the most of the business problems like Material shortages, Productivity enhancements, Customer service, Cash Management, Inventory problems, Quality problems, Prompt delivery etc. • ERP not only addresses the current requirements of the company but also provides the opportunity of continually improving and refining business processes. An ERP system is capable of providing large amount of information and data regarding various items at relatively high speed and accuracy. The system also provides with exceptionally high levels security. The system is capable of working in a highly diverse environment and can perform tasks across various companies, is multi lingual and can handle transactions in various currencies. ERPs are cross-functional and enterprise wide. All functional departments that are involved in operations or production are integrated in one system. In addition to manufacturing, warehousing, logistics, and Information Technology, this would include accounting, human resources, marketing, and strategic management.